Buying a home espresso machine is a big, but worthwhile investment. If you get the right machine, you’ll save tons of money that you’ve been spending on red eyes and lattes at your local cafe. However, making the wrong choice will result in a machine that goes largely unused. Luckily, there are a ton of great options on the market today. Whether you want something easy to use and clean, or something complicated for more engaged brewing, there are a lot of great options out there. Here’s a quick look at what you should consider when buying your own espresso machine, and a few of our top picks. The market for home espresso machines is varied. There are a lot of great choices, each fitting the needs of different types of home brewers. Generally, the machine you buy will depend on your price range, coffee drinking habits, and personal brewing ability. Here are a few things to look into before buying your machine. 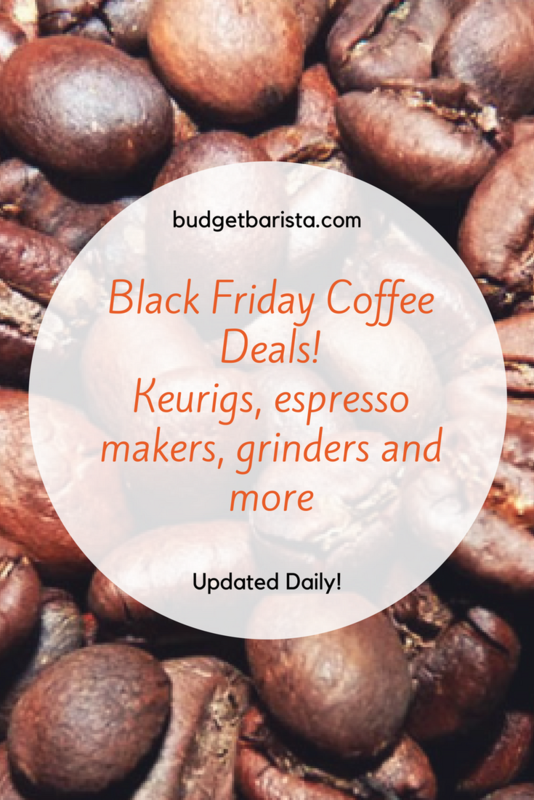 More than any piece of brewing equipment, espresso machines come in a variety of prices. From under $100 to multiple-thousands of dollars, this can be as high of an investment as you want. For this guide, we’ll be avoiding the most expensive models, which are likely to run a four-digit cost. That being said, many models on this list will cost several hundred dollars. We will also include an under $200 budget choice for anybody looking for a cheap first machine. Espresso machines are made for anybody from home users to professional baristas. Because of that, you’ll find espresso machines with varying levels of difficulty. The easiest model is a Nespresso machine. While the Nespresso does not deliver the high-quality controlled coffee that you get from other brewing methods, it does provide a brewing method as easy as a Keurig. Comparatively, most automatic and manual machines offer more control, but will also come with more difficulty of use, and be harder to clean up. Ultimately, it’s up to you to decide the type of machine you want to use, and how that affects your engagement with the brewing process. Some espresso machines are designed solely for the purpose of making espresso. If you simply want a single or double-shot in the morning, that’s great. However, without attachments, these machines cannot be used to froth milk for a latte or cappuccino. You can buy a separate milk frother for your espresso machine. If you’re a huge fan of lattes, however, it may be better to get a machine that already has a frothing mechanism in place. If you’re looking for a solid espresso machine, there are a variety of options on the market. Here are a few of our picks for the best machines on the market. Any budget machine will offer less raw power and control than higher-end models. That being said, they also provide an opportunity. In general, budget models provide more room for experimentation than other espresso machines. The PressoPump Cordless Espresso Maker is a high-quality, wireless alternative to a home machine. It’s charged by a lithium battery, making it a portable way to make espresso while camping or otherwise on the road. On top of that, the machine’s extraction method provides 16-bars of pressure. The industry standard is 9 bars, so this a good way to get performance. While this isn’t matched by high levels of control, it’s great pressure, particularly for a machine costing under $100. Any budget espresso machine is a compromise. If you want something affordable and interesting which still provides great espresso, the PressoPump is the way to go. Nespresso machines are a great alternative to a Keurig. While it’s ideal for home-brewing enthusiasts to move past pods altogether (for both flavor and environmental reasons,) a lot of people simply aren’t ready to make that leap. Nespresso machines provide a higher-quality brew. If you want a good Nespresso for your home kitchen, you’ll want one which includes the Aeroccino maker. This machine allows you to froth milk, meaning you’ll be able to get automatic lattes and cappuccinos with the push of a button. On top of the Aeroccino, the Nespresso Inissia also comes with a variety of features that set it above other Nespresso models. 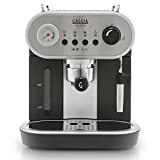 With 9 programmable buttons, 19 bars of pressure, and an energy saving mode that turns the machine off after 9 minutes, this is a great machine for a quick and delicious morning cup of coffee! Whether you want to brew grounds or pods, this machine is a great way to deliver high-quality brewing easily and consistently. On top of that, Gaggia’s commitment to stylish, mid-20th century design makes it a great fit for any home. Of course, Gaggia is offering more than just a lovely aesthetic. The Carezza De Luxe features a massive 47 ounce water tank, making it a great way to brew coffee for guests. It also offers a great wand for milk frothing, which can also be used to dispense hot water for an Americano. On top of this, the machine’s one-year warranty makes this a great automatic choice. If you’re in the market for a high-end, automatic espresso maker, you should get the Carezza De Luxe. A manual espresso machine may sound like an unusual choice. After all, isn’t part of the convenience of the modern world the ability to brew great coffee with the push of a button? With that in mind, it can seem like a peculiar choice to buy something that rejects that technology: it can even seem forcibly eclectic, an inconvenience without benefit. In spite of this, there are actually good reasons, from environmental concerns to practical realities, to buy a manual espresso machine. First, having one less appliance to plug-in is a good way to reduce your carbon footprint. With a large portion of today’s household products being designed to make it easy for people to use less power, this is good news. Every choice counts when it comes to the environment, and that includes the choice in your mug. The Flair Espresso maker is a great choice for anybody who wants a delicious cup of manually-brewed espresso. While a lot of other manual makers offer lower pressure and less durable parts, this machine will last a long time, even with daily use. In addition, the bundle comes with a stainless steel brewer for more precision, and an extra head to allow you to make two espressos in a row. Overall, this machine is a delicious choice. The Infuser is an incredible espresso machine for anybody looking for a high-powered, entry level home model. 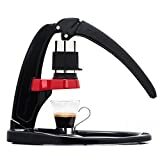 As with all great coffee-brewing systems, the benefit of this set-up has less to do with the number of features it has (though there are many,) and more with its high-quality execution of these features. As a Semi-Automatic machine, the bar pump can be used manually, preset, or can be reprogrammed. This means that, whether you want total control or an easy cup, you can get something precisely to your liking every time. In addition, the machine comes with a pre-infusion function. This function uses low water pressure at the beginning of brewing to fully extract the right amount of flavor out of your coffee beans. Breville’s machine is a strong, versatile espresso machine for the serious home barista. If you’re willing to spend the money, it’s the best option on this list. If you want a home espresso machine, there are a lot of good options on the market. From portable and automatic machines to unique manual choices and high-end classics, there’s something for everybody in today’s market. Making the right choice means seriously considering your needs. Many machines are significantly more expensive and difficult to use than others, so be aware of the wide variety of options you have! Espresso machines are a worthwhile investment. So choose wisely, and happy brewing!